ACM - Whites are whiter, blacks are blacker and more detail is revealed in the shadows with Adaptive Contrast Management. 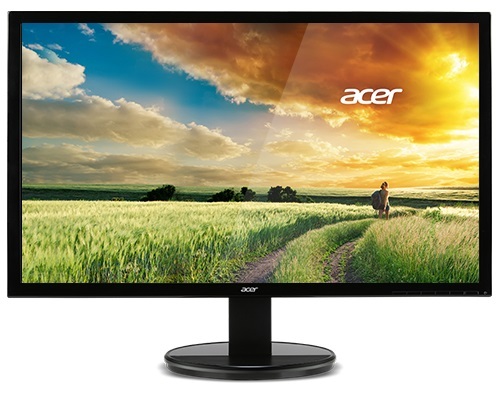 Acer EcoDisplay - This display has an environmentally friendly design that focuses on recyclability, low power consumption, and more. VESA Mount - Save space and add drama to a room by putting this display on a wall. VESA mounting makes it easy. You'll enjoy tasks and entertainment more on this LED-backlit display with the fine details which comes thanks to an Full HD resolution. The great sights are made even better by exceptional colors via Acer Adaptive Contrast Management.